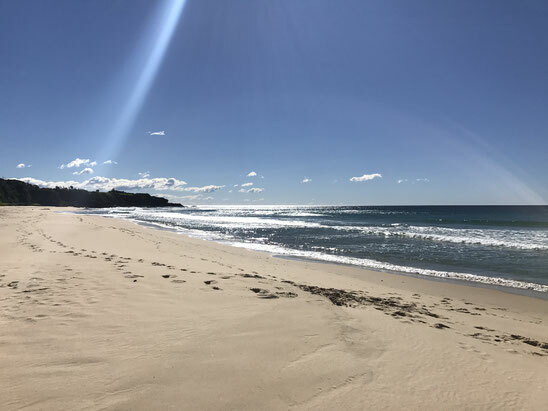 On Eurobodalla's coastline there lies a hidden beach, only accessible by walking through another beach, when the tide is low enough to get across the rocks. This is called "Smugglers Cove". 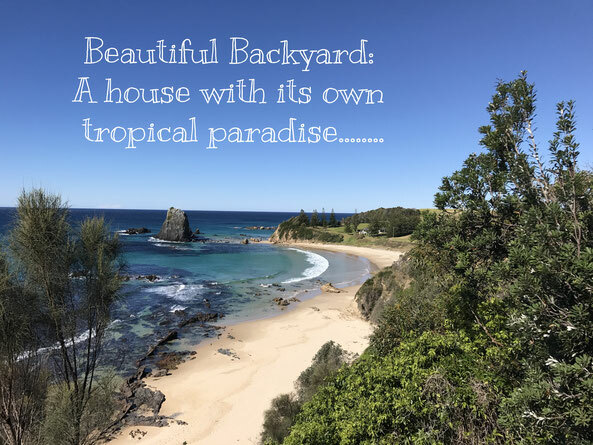 There is only one house overlooking this glorious view, which owns the whole frontage of the small beach. There's a local track up top for high viewing, and the driveway understandably has several big "Keep Out: Private Property" signs plastered all over the boundary gates, hinting that perhaps there have been unwanted day trippers stopping by for a visit! The light green tropical waters, which are home to dolphins, stingrays, penguins, seals and even whales, are nothing compared to the unique towering rock formations called the "Glasshouse Rocks" and white quartz "squeaky" sand. A paradise, which for one lucky landowner, is all there's. These photos were taken on mid-winters day, so imagine how it looks in the Summer!